Prof Mabel Loza, coordinator of REDEFAR, the Spanish Network of Excellence in Drug Discovery, and the European Lead Factory executives Dr Dimitrios Tzalis and Dr Ton Rijnders have signed a Memorandum of Understanding for collaboration in future initiatives. The REDEFAR network and the European Lead Factory share a deep, common interest in the discovery and development of small molecule compounds that specifically modulate the biological function of target proteins. They both see opportunities to provide complimentary services. For example, the REDEFAR network within Spain can identify users and projects with the potential to be transferred to the large-scale drug discovery activities at the European Lead Factory. The assay development and early drug discovery expertise at REDEFAR complement the high-capacity screening capability of European Lead Factory. Prof Mabel Loza: ‘The European Lead Factory is a strong pan-European consortium. The early drug discovery projects of our members and community will benefit greatly from this collaboration with parties outside Spain’. REDEFAR is the Spanish Network of Excellence in Drug Discovery. The network is funded by the Spanish Government and coordinated by the University of Santiago de Compostela (USC) and the goal is to promote early drug discovery in Spain. It is an initiative of 10 public sites. The coordination draws on the experience gained by the USC especially through the Innopharma project. REDEFAR covers key areas such translational target validation, assay development for HTS, bioinformatics, medicinal chemistry, and in vivo models. 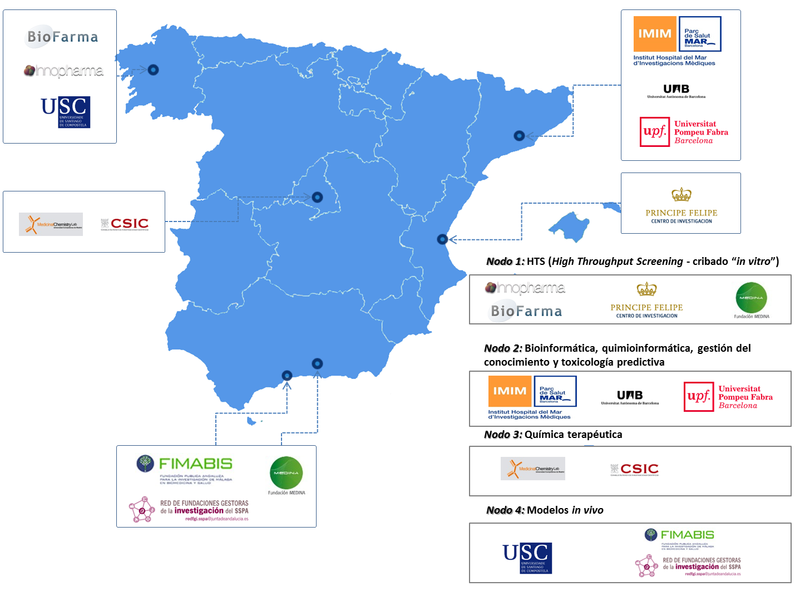 These capabilities are complemented by the REDEFAR Community, which includes more than 140 public and private agents associated to the coordination to constitute a comprehensive map of drug discovery in Spain.